We are a couple, newly retired, from Sweden (Stockholm) on tour down under. We are coming to Adelaide in mid December. From there we will go by car via Melbourne, Canberra/Sydney to Brisbane. Yes it's a long distance but we have five weeks so we believe/hope it will be OK. We fly from Brisbane to Darwin 23 Jan for a three day stay before we leave Australia. It would be great to be able to meet some local cachers so if anyone knows of any event on our route please let us know. 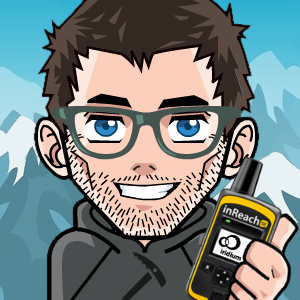 Tips about interesting caches are also much appreciated. We like puzzles and especially puzzle trails but other fun caches are also of interest. We have spotted the big promo puzzle trails at Murray Bridge so we will certainly have a go at them. Also we plan to buy a prepaid Sim-card to be able to have data access while we go. Which operator is best (price/coverage etc) ? The best network for coverage, but not price, is Telstra, no question. I'd recommend the woodlands powertrail outside of meblourne for numbers, and the bay trail for cool well done caches. The mystry of the fyansford tresure hord is a most excellent cache in Geelong that I'd put on a 'must do' list. Yes certainly for coverage the Telstra network is the best especially outside the capital cities. But I believe amaysim has a pretty good data deal on their SIM cards, you can purchase these at places like major supermarkets like Coles or Woolworths (Safeway in Victoria). They use Optus which is the 2nd best network (we only have 3 anyway) and will be fine in most larger towns. Best of all is no lock-in contract. Hi, While in Brisbane, why not try a drive west towards Mount Nebo, and Mount Glorious. The higher you go, the more rainforest-y it gets. Maybe also meander northwest through Samford, Samford Valley, Dayboro and beyond. There are a few caches along the way. Cheers and bon voyage. Hello again and thanks for all advice so far. Unfortunately we are coming to Adelaide on evening the 17th Dec so we will miss out on all events mentioned. Hopefully there will be some more coming. What is the coverage like for the mobile phone when travelling on country roads far from bigger cities? Any idea what dates you will be in Sydney? I'm sure an event can be organised to welcome you and to meet up with local cachers. Calypso62, thanks for your really nice offer. We haven't finalised our plans yet. The timings will depend on various things not the least input from people on this forum . May we come back to you nearer the time when we have a better idea on when we will be where? No problem. I look forward to hearing from you when you have more information. There are maps for the Optus Network coverage here. Any idea where you'll be staying in Brisbane? Most definitely, if you are travelling by car from Adelaide to Melbourne, there is only one way to go, and that's The Great Ocean Road. Not necessarily for the caching, of course, there are caches along the GOR, but primarily for the spectacular scenery. Hello everyone and thanks for all great input. We will look at your suggestions and plan our trip in more detail. One more question: Are there any other map provider for smartphones than Google and OSM? In Sweden we have a local map provider that we cank link up to from our geocaching app. Those maps are much better quality than both Google and OSM. Do you have the Geocaching application? If you are using Android, there is a free application call c:geo which I have heard is pretty popular. Have a great time in Australia.